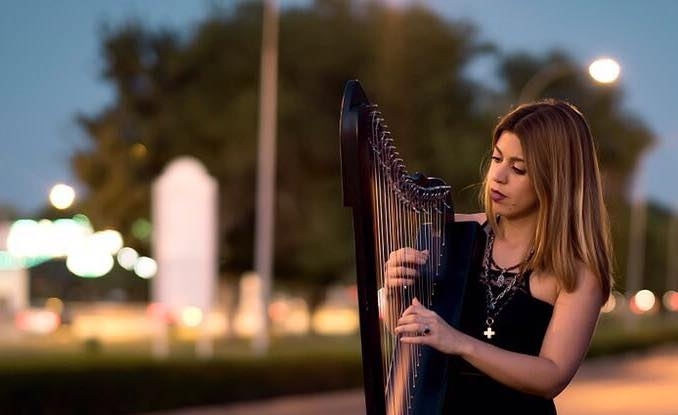 Professional musicians from the twelve nations (plus Instagram) shown above each represent a depth of facility, artistry and inventiveness which is at once very new and very old for the harp. Historically the harp was an instrument which went out into the wide world in the company of traveling minstrels and theatre companies but in modern times harps became so large, heavy and valuable that they were progressively locked into smaller and smaller musical boxes. Every one of the harpers above represents a break with those bonds and each artist is finding new, dynamic expressions of their individual talents with their Fullsicle™ Harp. The Fullsicle™ Harp has full levers which makes the complete range of lever harp music available. This harp can be played in 8 keys, Eb, Bb, F, C, G, D, A and E and the relative minors. 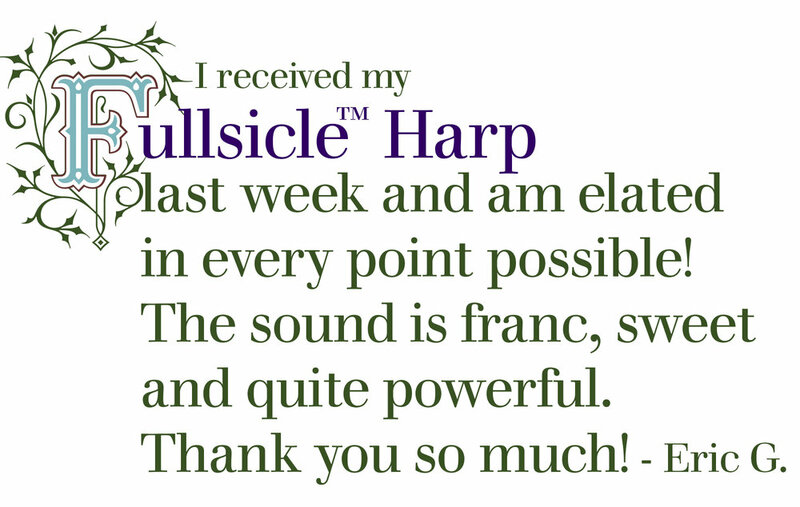 The Fullsicle™ Harp is well-loved and played by traveling harp professionals and skilled amateurs all over the world. Fullsicle™ Harps also tend to be the favorite of those with general music knowledge or those who play other instruments like piano, guitar and violin because having full sharping adds considerably more flexibility and opens musical possibility. Each Fullsicle™ Harp comes with a string chart and tuning wrench. Would you like to see the special edition of this harp? 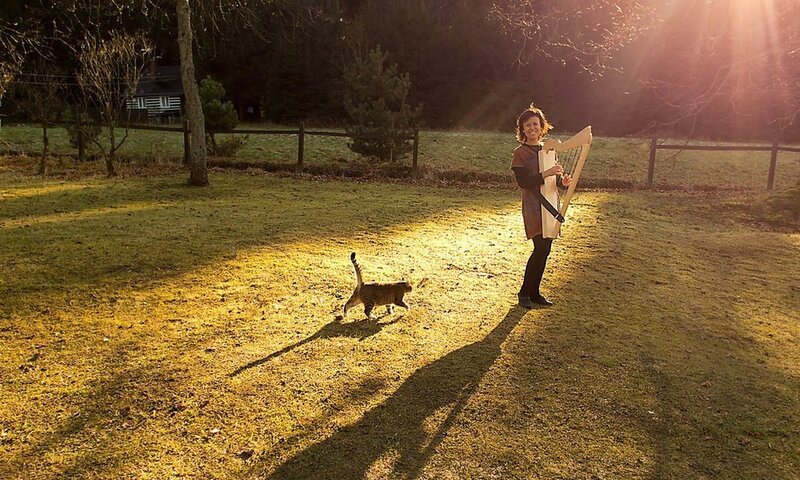 Almost all those who purchase a Fullsicle™ Harp are intending to use it for musical performances of some kind. These musicians tend to need and/or prefer a fairly consistent set of accessories including a built-in pickup, upgraded bass strings, a high definition cable (to connect harp to amplifier), as well as at least one of our stands. Additionally, most Fullsicle™ Harp customers will travel extensively, either locally or across much greater distance. It will be natural for Fullsicle™ Harp owners to order a Harpsicle® Harp Bag or even our Deluxe Harpsicle® Harp Bag, shown below, which makes carrying a harp through airports or on public transportation a great deal easier. Finally, because the unexpected always seems to happen while you are away from home, we recommend our 911-HARP Kit. Note: strings sets are all custom made, by hand, by a small, quality, US-based company. Occasionally, they get busy and our string orders are delayed. Be sure to order your Upgraded Bass Strings several weeks before you need them. Adding four wound strings to the bass on your Harpsicle® brand Harp dramatically improves the performance of the harp in the bass range. With these added strings, your little harp sounds so much bigger! This upgrade is available for the following models: Harpsicle®, Sharpsicle™, Flatsicle™, Fullsicle™ and the Special Edition Fullsicle® Harp. In order to use the Upgraded String Set, your harp must have been made in 2012 or later and have the four larger eyelets on the bottom string holes through the soundboard. For information on how to put on a new string, see Changing a String. 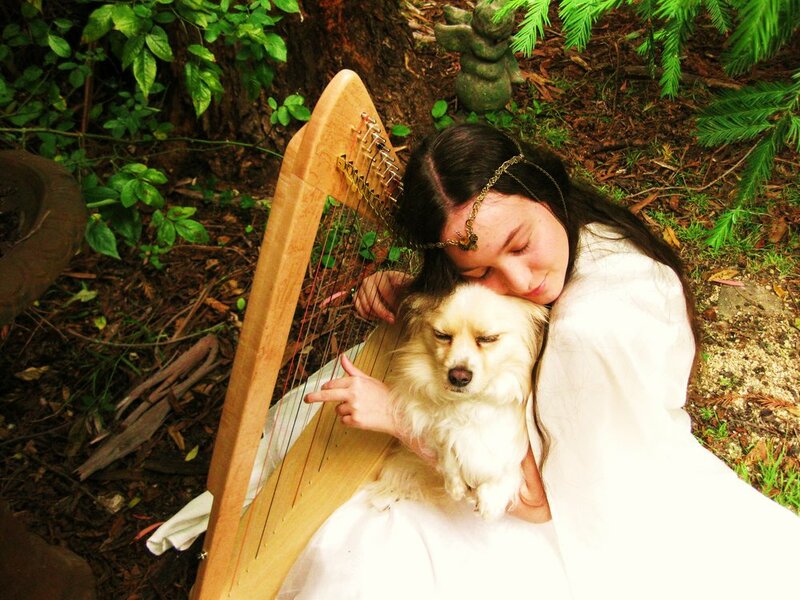 The magical Australian talent, Fairy Lullaby, has a number of videos with wonderful production values. Still, we love this earlier one because you are treated to both her Fullsicle™ Harp and her lovely voice which is clearly well-suited to her instrument. Besides, Lullaby's dog, Dudley, who has passed over the Rainbow Bridge since this video was made, is especially sweet here. River Flows in You, a Yiruma cover, played by Belarus harper and composer Ivan Solas. Ivan's ongoing project is called Lumiere Tales and you are truly missing something wonderful if you do not subscribe to the Lumiere Tales YouTube channel. 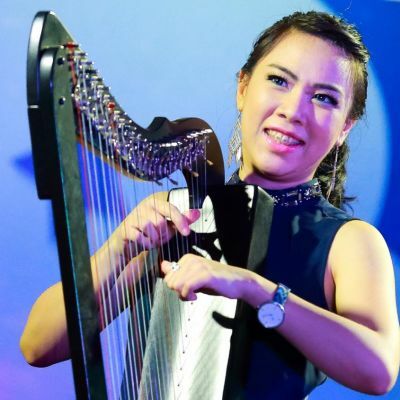 Indonesian harpist Maria Pratiwi playing a mash-up of Beauty and the Beast with Be Our Guest. She is joined by the Indonesian Youth Chamber Orchestra. Brazilian duo Ekletica (aka Trio Amadeus) singing Tonight You Belong to Me. Marcelle (harp and voice) , Fabio (guitar and voice) Dancers: Mateus and Letícia Cameras: Victor Alexandre Trompet audio : João Vianna. As a slightly off-topic side note, on their YouTube page Trio Amadeus has an in-cred-i-ble version of “Stand By Me” which does not use one of our harps but is not to be missed. It’s just beautiful. See it here: https://www.youtube.com/watch?v=jIqN2ebCzFM.